This Museum has a small collection of South Pacific and Cook Islands artifacts, including some outstanding examples of traditional weaving and carving. Admission is by a small donation. The National Museum is next to the Auditorium in uptown Avarua, and is open 9am-4pm Monday to Friday. This Library has a collection of rare books on the Pacific many of which have been donated over the years. It also has a variety of historical art, photographs and artifacts. For a small fee, visitors can join the library for the duration of their stay, with the library welcoming donations of books when you are departing. The Cook Islands Library and Museum is located opposite the University of South Pacific, and is open from 9am-1pm, Monday to Saturday and Tuesday evenings 4-7pm. Located in the heart of Muri, Te Ara Museum features a visual display of the Cook Islands from precolonial times through to present day. Telling the story of the Vaka Migrations, the Ariki Society, European Influence, Self-Determination, The Cook Islands Today and includes aquariums that bring an awareness of the need to protect our lagoons . The museum also houses a gift shop and cafe onsite selling locally produced crafts and food. Te Ara Museum is open Monday to Friday from 8am-4pm, Saturday to Sunday from 10am-4pm. There has been a revival of carving on Rarotonga in recent years and some local work is for sale at shops around the island and at Punanga Nui market. Different islands within the group have different specialties and carving techniques – some of which can be bought in Rarotonga. Weavers traditionally use pandanus or rito (the young fronds of coconut palms) to make mats, bags and hats. You often see women wearing these very fine woven hats to church and on special occasions. You can purchase woven gifts from shops all over the Islands. The artistic and creative talent of Cook Islands women is especially evident in the vibrant colours, meticulous stitching and balanced designs of their tivaevae. These are treasured heirlooms and works of love. Not many of these hand-stitched tivaevae are available for sale, but you can usually find them on display in the shops and galleries on Rarotonga and sometimes at the Te Punanga Nui market. Machine-sewn versions are also sold on Rarotonga. 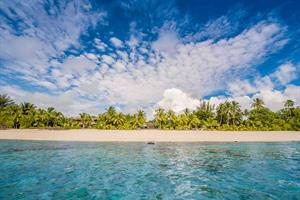 There is a wealth of history and culture to absorb in the Cook Islands. One of the best ways to do this is by a cultural tour where experienced guides will show you the historic sights, share ancient tales and legends and teach you about our unique Cook Islands Maori culture. If you prefer to immerse yourself in our Polynesian culture on your own, head to the Saturday Te Punanga Nui market where you can watch local craftsmen and artists making traditional items; they are always willing to have a friendly chat, share a story and answer your questions.